When I was beginning the process of getting divorced, my Mom gave me some advice that I have shared with many others. I was still living with my husband, looking for lawyers and rental houses, and trying to figure out how I might have to raise two little boys and provide for my family. I told her I really couldn’t imagine how it would work out. It sounded so hard. I was scared. She was right. Being on my own was so much simpler, lighter, and free-er. Once I stopped trying to make something work that just wouldn’t work, I had energy available to take care of myself, my business, and my kids. Contrary to my fears, my ex and I were able to work collaboratively to make sure everyone was taken care of financially and otherwise. It was also easier because my mom was there. She moved in with me for almost six months, seeing me through the roughest of the transition. Packing and unpacking. Going to support groups with me. House hunting. Providing cooking, cleaning, bedtime snuggles for the boys. A year later I was in a house I loved; I’d regained muscles I hadn’t seen since high school; my kids were potty-trained and sleeping in their own beds; I had the best year of my business to date; and I finally learned how to do this thing called a “weekend” that I’d heard so much about. I like to share this advice and tell this story to other people in the midst of relationship upheaval, because it offers hope when they may not be able to see a way through. (I know my story isn’t universal, because many stories of divorce don’t have endings as happy or quick.) I also like to tell people this story because it means I get to tell it to myself. To tell myself a story of overcoming adversity. Telling yourself stories of past resiliency is one of the proven ways to have a growth mindset and steel yourself against burnout. Anyone can have this kind of story for themselves. It doesn’t have to be overcoming a major life obstacle; it could be as simple as recovering from an injury or a bad grade. As long as it is a story of a setback and how you overcame it, it’s a tool you can use when you feel overwhelmed, frustrated, sad, or ready to give up. Which, for many of us in 2018, can be a lot of the time. Once upon a time my improv school was losing its space. And every day I was planning to wind my business down. Until one day I told my friend I was calling it quits, and she said no, we had to find a way. And because of that I reached out to another theater space in town that I thought was a long shot. 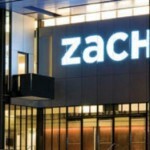 And because of that they asked me to become a tenant there. And because of that my business grew at this new, prestigious space. Until, finally I had my best year of business ever. And ever since that day, my improv school is called Merlin Works at the ZACH. The moral of the story is: sometimes, you have to risk everything to really grow. I invited my attendees to write their own comeback stories using the story spine. Soon, this online class—with glitchy technology and lackluster participation—came alive! People were sharing stories about failing a class and coming back to complete their degree; having a crush on someone for years and finally working up the nerve to ask them out; coming back from an injury to complete a race. I was overwhelmed by the stories they shared and the strength of their journeys. I’d love to hear your Resilience Story Spine about what you’ve overcome. Write a few and keep one in your pocket to have with you when you need it the most. Because the faster and stronger we recover from setbacks, the more we succeed over a lifetime. The mistakes and challenges will come. What shapes us long term is how we respond. And with this little story in your corner, you might respond a little better and a little faster. It might be so much easier than you think. 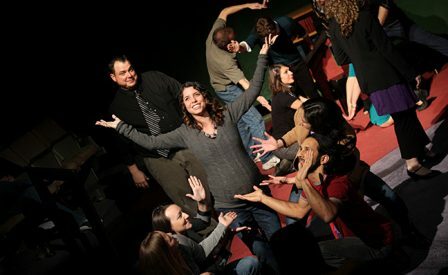 Getting involved with improv saved my spirit from withering after my son died. I found him within myself, and that has made all the difference. I’m so glad improv was able to help you in that way. Thank you for sharing. Beautiful! Thanks for sharing your story, Todd! 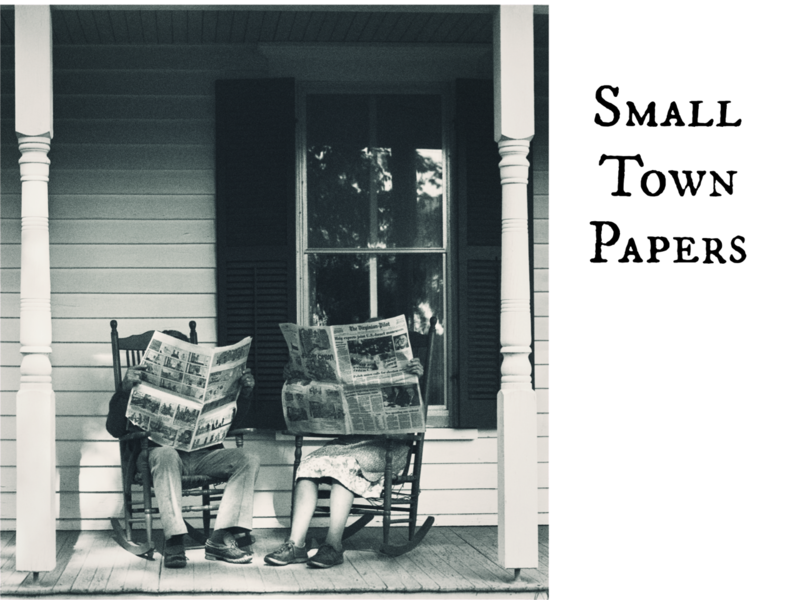 Special guest Small Town Papers give you the latest scoop at the Second Sunday Improv Comedy Showcase!